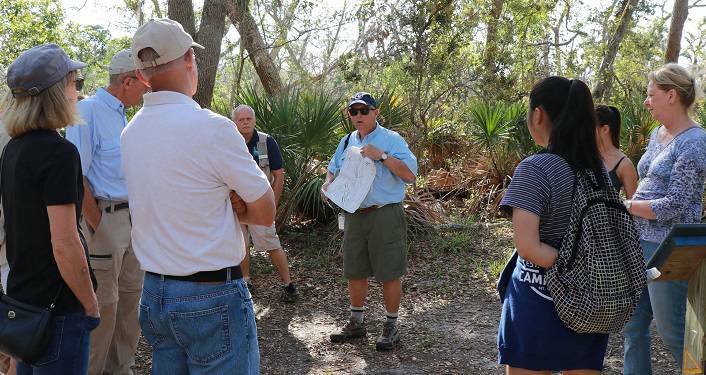 The first Saturday of every month, visitors can learn about the cultural history of the Guana Peninsula, as well as the natural biodiversity of the reserve, during the GTM Research Reserve Guided Exploration Hike. Find out about the peninsula’s 5,000 years of human history, including how native peoples used estuarine resources, what European plantation life was like, and current efforts to learn about and save these resources. Meet at the GTM Research Reserve’s Trailhead Pavilion located west of the Guana Dam. Wear comfortable, closed toe shoes. The event is free, but there is a $3 per vehicle parking fee. Please RSVP by clicking on the event website link or call 904-823-4500.